There is a learning curve as a consumer that comes with selecting a real estate agent, and that curve turns very sharply after your decision has been made. 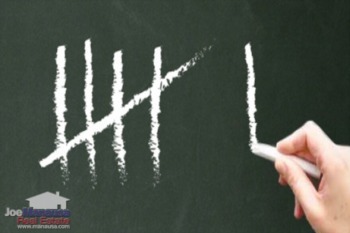 NAR surveys continue to show that between 60% to 65% of people hire the first real estate agent with whom they speak, and they do so because they have not considered the totality of the job that lies ahead. The agent that you hire will end up saving you (or costing you) thousands of dollars, so make sure you start by hiring a real estate agent that you trust. When it comes time for the most important functions that your real estate agent provides, you will need to trust that you have already made the right decision. What started out as something you thought would be very simple (sell a house, buy a house) ends up being a process with twists and turns for which most people are not prepared. If you do not trust your agent (90% of agents are new, poorly trained, and/or part-time), you end up questioning their advice and you start to impose demands that actually can work against you. The average homeowner likely moves every 15 years or so, thus it would be crazy to assume that many would be "experts" at the process. Everything else in life is changing at a rapid pace due to technology, don't you think moving (and the process involved) has been changing too? An expert at real estate valuations is worth a lot of money to buyers and sellers alike. Why? Because when negotiations get to the decision-making point, it comes down to understanding what the other side can do. If you have selected a real estate agent who is an expert on valuations, then you can trust the agent's advice on how to handle multiple-party negotiations. This is the biggest issue people do not consider when they get started with the process ... that multiple buyers usually compete for the best houses on the market. And in these situations, knowing the likely outcome (home value) is paramount. How Problems Begin For Home Sellers - Two out of three home sellers hire the first agent that they interview. More often than not, the decision to hire is based upon an agents opinion of value ... meaning the agent says that the home will sell for an amount that is as high as the homeowner was hoping. In fact, this is the primary trick of the unscrupulous agent, list a property at a price that will not produce a sale, and then badger the homeowner to lower the price until it sells. This technique helps mediocre agents gain business, but it costs the sellers involved a lot of money by failing to produce a market-time sale. The prudent home seller can avoid this problem by interviewing multiple agents for the job of selling the home, and demanding evidence of market expertise on valuations, which will be critical when the negotiations begin. How Problems Begin For Home Buyers - Buyers typically end up working with the first agent that showed them a home for which they had interest. They call on a listing and say "can you show me the home now?" The first agent that says yes will likely get their business. It's a bad trap for buyers. Buyers should demand equal rights. If sellers get to interview multiple agents and then sign a bilateral agreement on working relations, why can't buyers get the same deal? 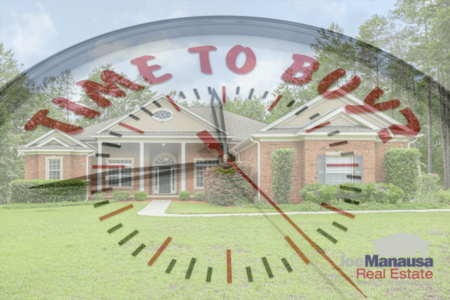 Seller's get a listing agreement, why not buyers? The fact is that the best buyer agents offer an agreement for services that parallels what is offered to sellers. Though the buyer won't likely have to pay the bill, the buyer should still demand the best and then hire the best. Remember, a monkey can show you homes for sale, but you'll need to trust on the expertise of your buyer's agent when the negotiations for the best properties commence. Don't go into a negotiation thinking that you are the only person who thinks the home is a good deal, go into it with the knowledge of what it will take to get the home and whether or not you should be prepared to pay it. I like your tip to interview 3 or 4 real estate agents before you choose one. If you pick the first one you see, you may miss out on deals. If you interview multiple people you may also find someone who specializes in the neighborhood you want to move into.